Congratulations go to our Vice-President, Air Marshal Ian Macfadyen, who was recently appointed a Knight Commander of the Royal Victorian Order by The Queen in a private ceremony at Windsor Castle on Sunday 20 July. This well-deserved recognition reflects not only his considerable service to The Queen as Governor of both the Isle of Man and, latterly, Windsor Castle, but also his distinguished career in The Royal Air Force and the commitment and support he has given to so many other organisations. 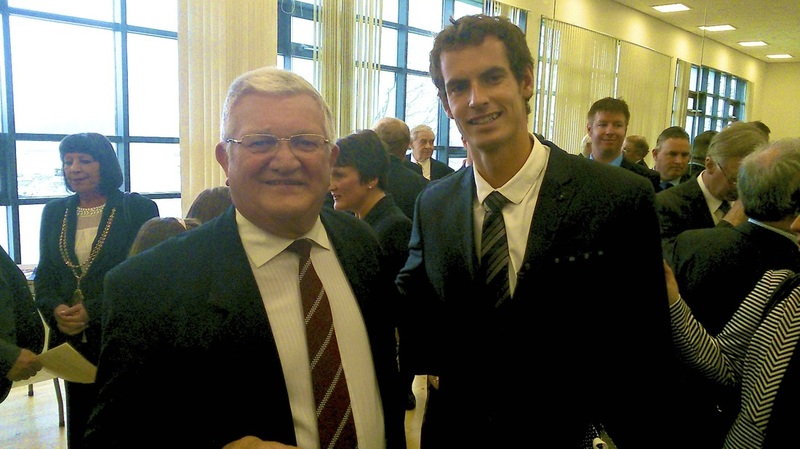 Earlier this year the 43 Squadron Association was represented at another occasion of individual recognition when Andy Murray was awarded the Freedom of the City of Stirling. 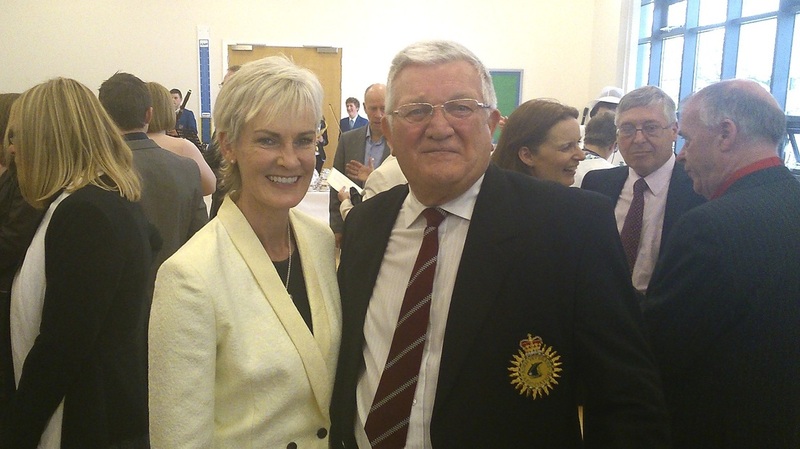 As fellow Freemen of the City, we were represented by Willie Marr at the ceremony on 23 April where he was able to meet both Andy and his mother Judy and to convey the congratulations of 43 (Fighter) Squadron. Following on from their visits to Stirling last year, Andy Moir and Alan Carlaw returned in June to finalise details of the memorial in The Church of the Holy Rude and the arrangements for commemorating the founding of the Squadron at Falleninch. Plans for celebrating 43’s centenary during the weekend of 20th to 22nd May 2016 are progressing well and will be circulated in the spring of next year. Please put an early marker in your diaries. 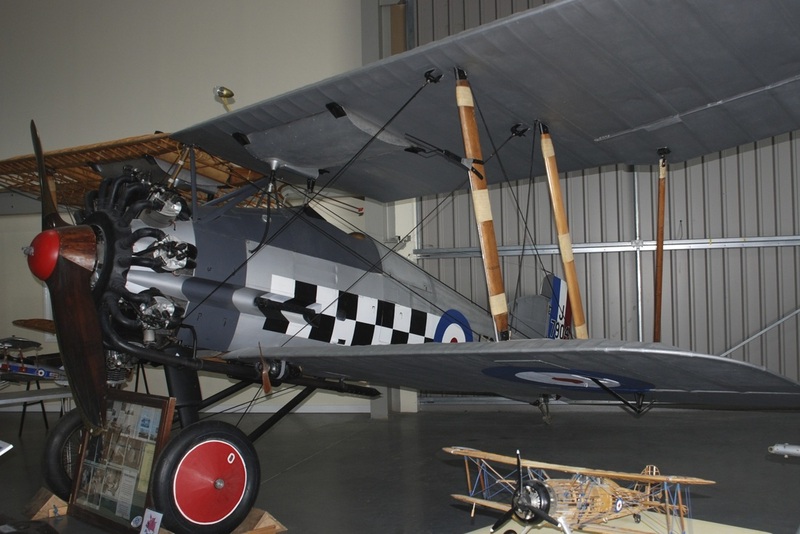 This year’s visit also provided an opportunity to visit the National Museum of Scotland at East Fortune to view the flying replica of a Sopwith 1½ Strutter, the first operational type to be flown by the Squadron. 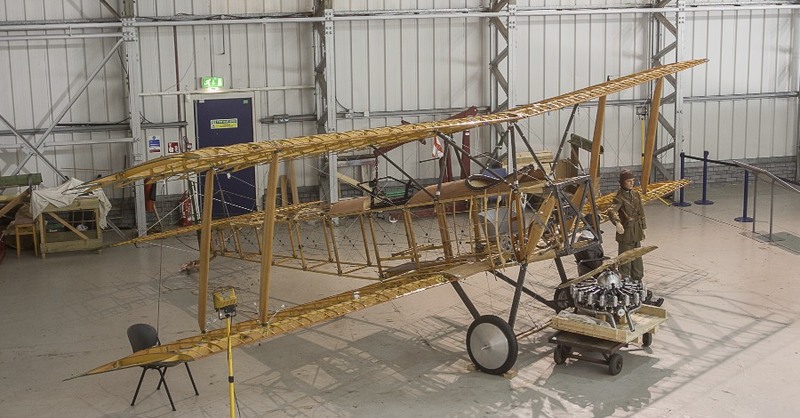 A team of 25 volunteers from the Aviation Preservation Society of Scotland is now close to completing this ambitious project after some 11 years work. The aircraft is awaiting final assembly, including rigging and skinning which is scheduled for later this year. Completion to full flying condition, together with the newly reproduced armament seen in the accompanying photograph, is anticipated during 2015. 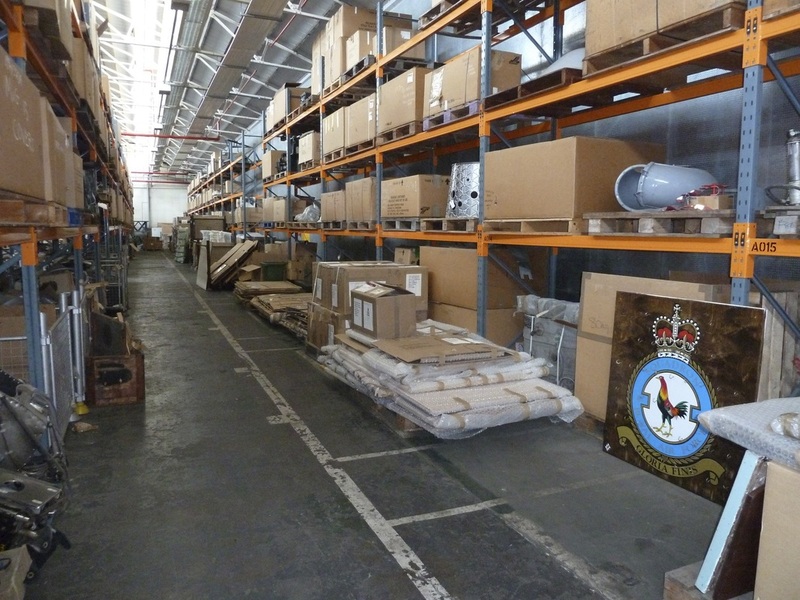 In common with other recently-disbanded units, 43 Squadron’s memorabilia has been dispatched into the care of the RAF Museum’s Reserve Collection at Stafford while items of squadron silver have been placed in the custody of the Defence Support Group at Donnington. 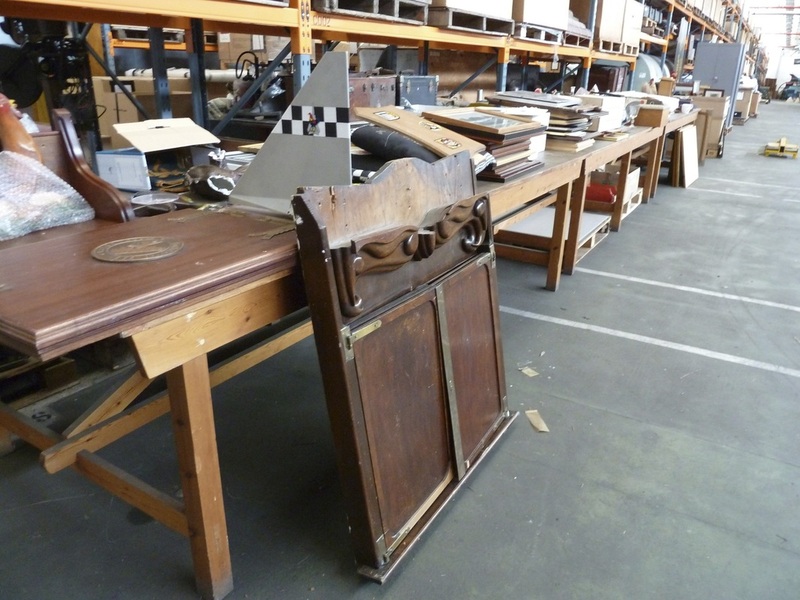 The Association has been keen to assist in ensuring the safe custody of the Squadron’s rich heritage and was delighted to be invited to Stafford to provide advice to the museum staff on the items of key importance. We have agreed underlying principles for the retention of significant items and have investigated the procedures for making recommendations for loans to appropriate museums such as at Tangmere and Stirling. 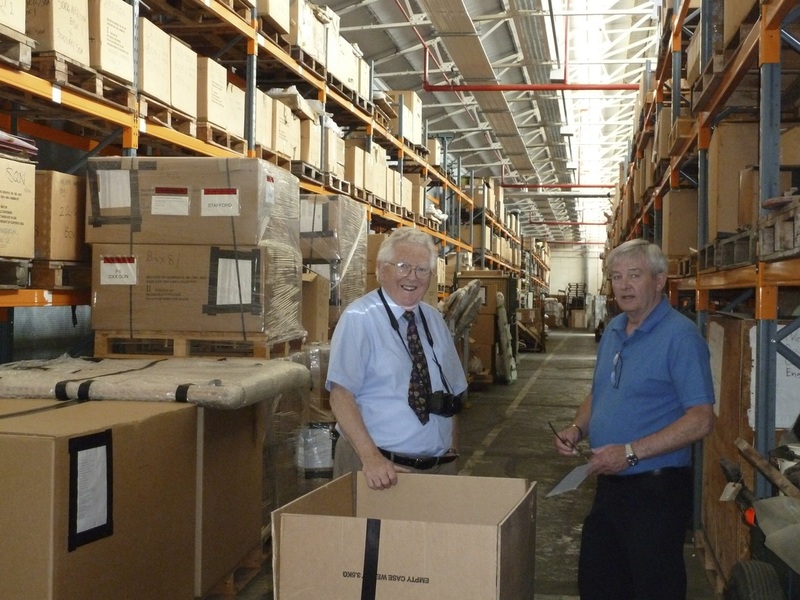 The attached photos show Alan Carlaw with Ian Alder, the manager of the Reserve Collection, and views of the cavernous storage facility at Stafford. 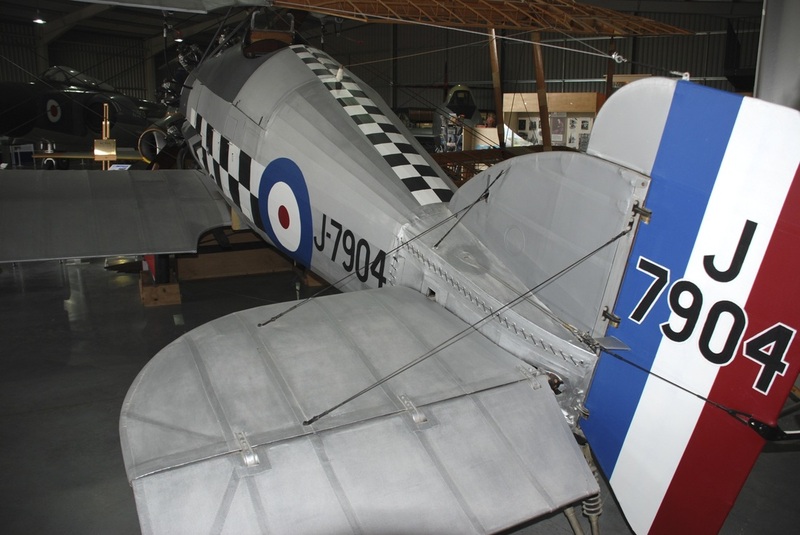 The Jet Age Museum, which opened in May this year, aims to show the contribution made by Gloucestershire in the development of aviation in this country. Although two rear fuselage sections of Finnish-built Gloster Gamecocks are preserved in museums in in Finland, no complete example of our eponymous former aircraft had survived. 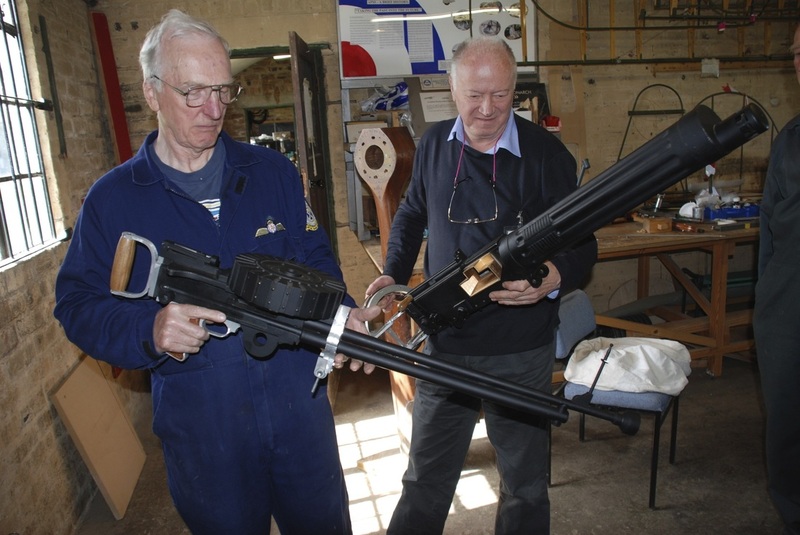 A few airframe fragments and, remarkably, an original Jupiter engine held by the RAF Museum were all that remained of the original production of 108 aircraft. 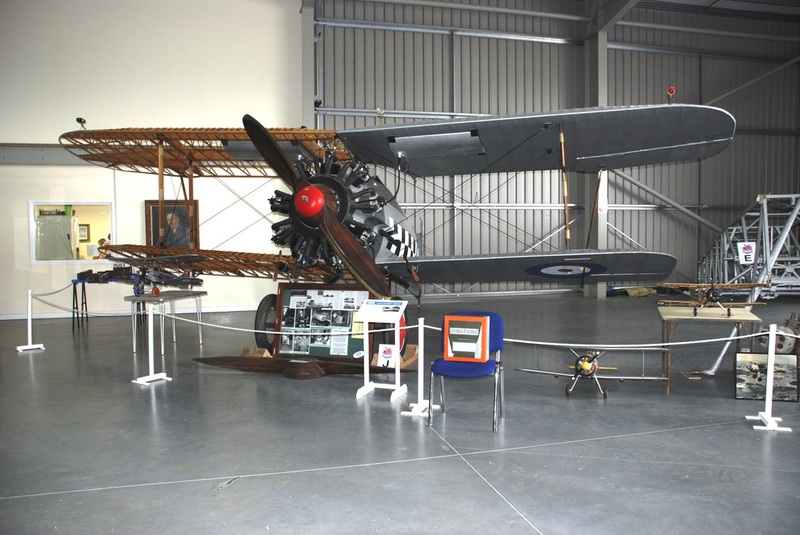 However this notable gap in the collection of Gloster aircraft has now been filled by a Gamecock bearing its original 43 Squadron colours and which is now on public display in the new museum. Sadly, due to a tragic motor cycle accident, 21st July, Anthony Ayre who served on the Squadron 1996 – 2002.